Leading people to Christ to worship, nurture, grow and serve. 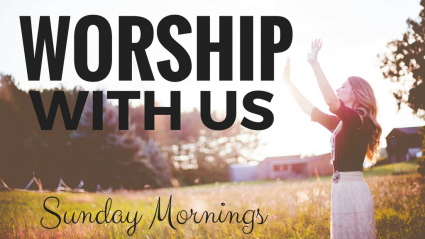 We invite all people, all races, all ages, all sexes, from all walks of life, rich or poor, saints or sinners to come and worship our Lord and Savior Jesus Christ with us on Sunday Mornings. We are a small church where everyone is part of the family. You will be welcomed here in the House of the Lord. We offer a blended service with a mix of traditional and contemporary music, from piano and hymns, to contemporary guitar praise or worship videos. We have a relaxed, loving, family atmosphere. Dress casual or as you are led, ties are definitely optional. There is no judgment here. Come, taste and see. Looking forward to meeting you this Sunday! Come as you are!